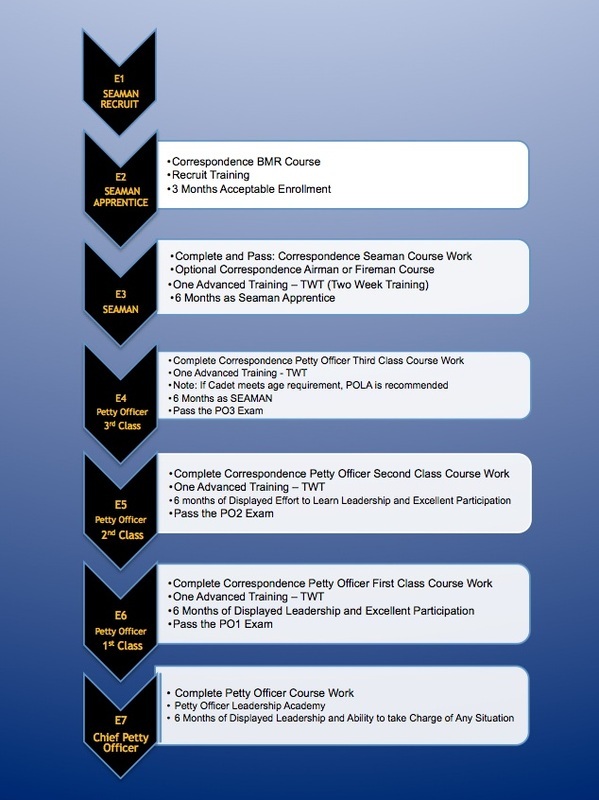 In order for cadets and officers to rank up (advance) coursework must be completed. Both cadets and officers should start working on coursework as soon as they join the unit. Print the multiple choice exam which is at the end of each Syllabus. Circle the correct answers as you read through the Training Syllabus. 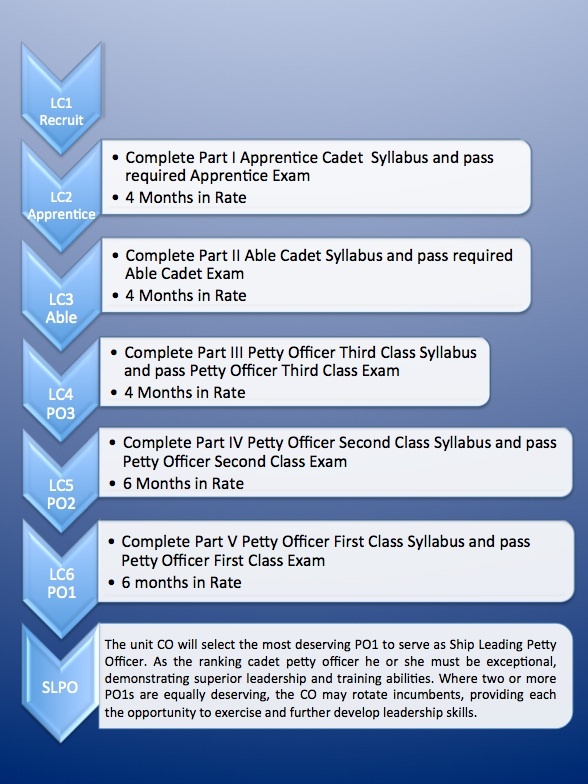 Contact INST Michelle Golding (mgolding@seacadets.org), to submit your completed exam. You must get a score of at least 70% on each exam to pass. Transfer your answers to the answer sheets. Be sure to include all information at the top of each sheet. Email all answer sheets (ANSWER SHEETS ONLY-DO NOT TURN IN COMPLETED ASSIGNMENTS) to INST Nicole Weaver (nmweaver81@gmail.com). If you have completed the BMR and want to move on, please contact INST Weaver who will work with you to complete the next course.